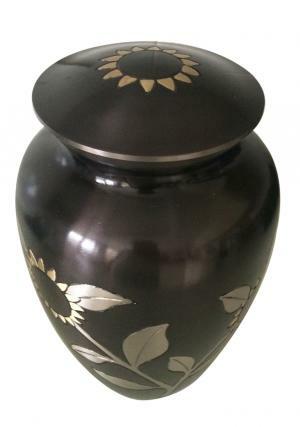 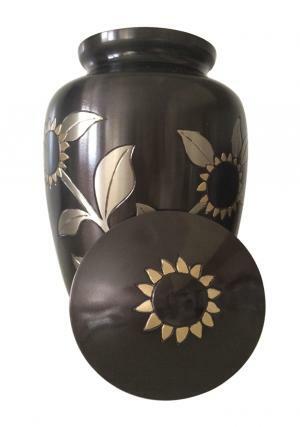 Black Pewter Sunflower Brass Adult Urn helps to store the cremation ashes of adults and this funeral memorial adult urn is an ideal replacement for your loved ones. 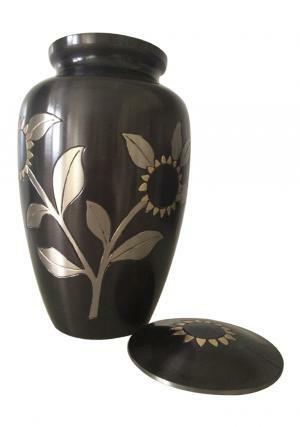 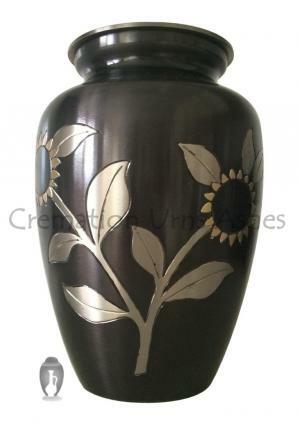 This high quality & large adult brass urn comes in black color with hand crafted sunflower design by skilled artisans. 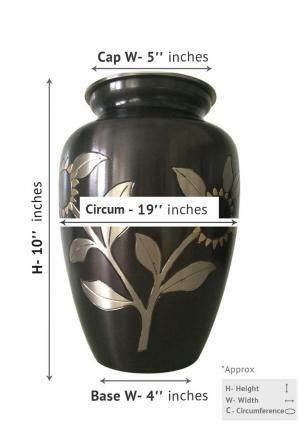 We also have keepsake urns with similar design to distribute among your relatives as a token of gratitude and memory.